Recently I had the pleasure of seeing one of the most famous and frightening silent films in cinematic history. 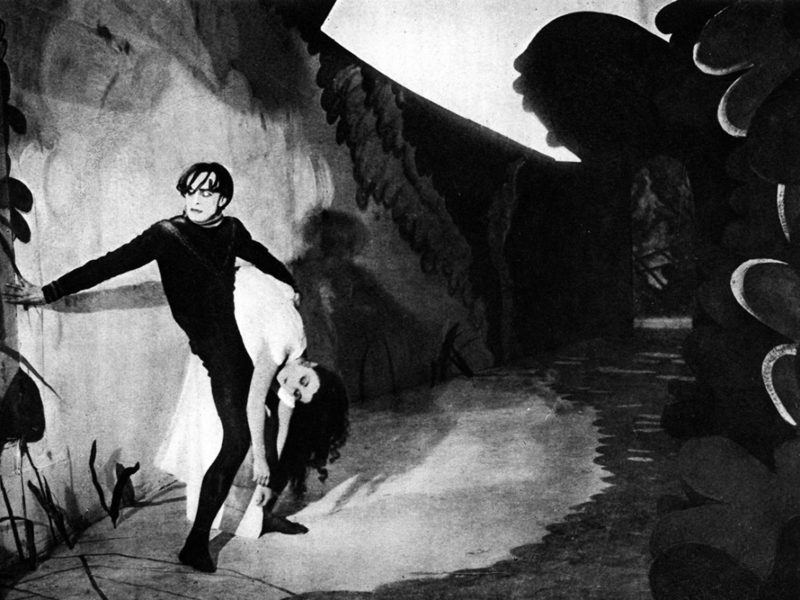 The Cabinet of Dr. Caligari (1920) features expressionistic sets and acting, a somnambulist and mental illness. As usual, I saw this cinematic treasure at The Dryden Theatre, located in my hometown of Rochester, New York — a 500-seat venue famous for featuring some of the most important and impressive works ever put to film. As per usual, I went with my good friend and fellow reviewer Josh Blodgett. Neither one of us had seen the The Cabinet of Dr. Caligari, at least not in full, and were extremely excited. As is the custom for all Dryden screenings, an introduction was given before the film commenced. 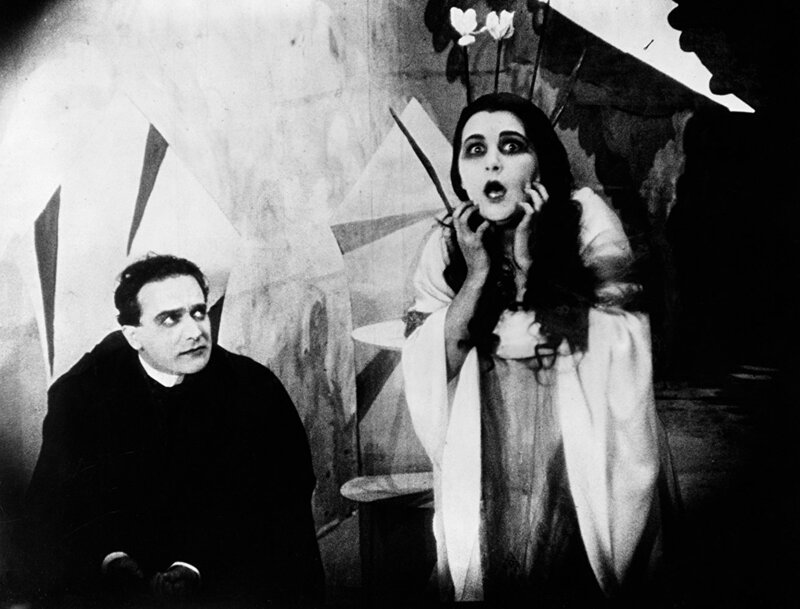 The introduction for The Cabinet of Dr. Caligari was given by the esteemed silent film accompanist Philip C. Carli. 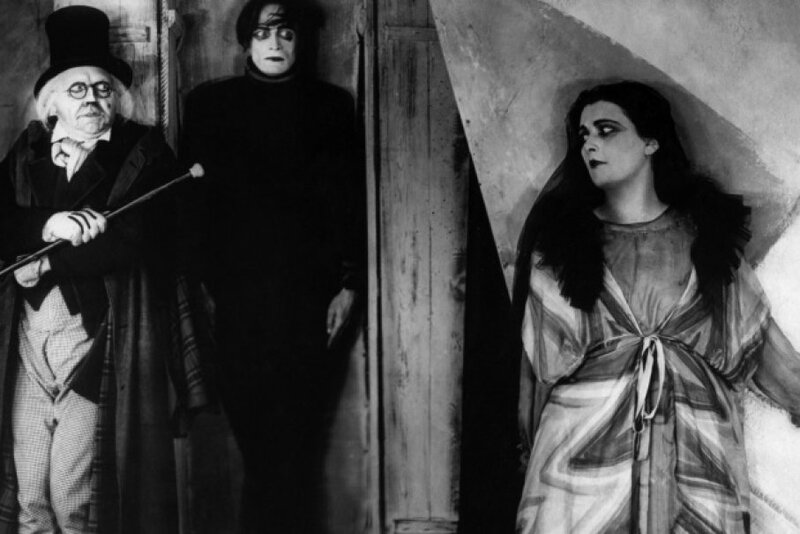 The Cabinet of Dr. Caligari is not a feature-length film, at least not by today’s standards, and runs a mere 58 minutes, (though it feels longer). Thus, the introduction was more in depth than usual. 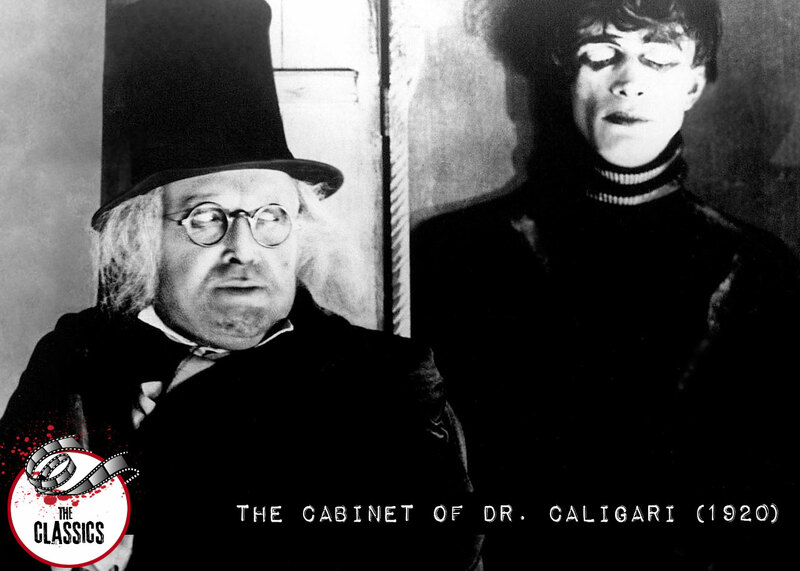 The Cabinet of Dr. Caligari is equally frightening as it is fascinating. Watching this film is like watching a monochromatic painting come to life. The story it tells is not a pleasant one, nor does it contain a happy ending, but it is a work of art that everyone, not just horror fans, need to see. The print of The Cabinet of Dr. Caligari that the Dryden screened was beautiful and came from The George Eastman Museum’s Personal Collection. In fact, the print that the Dryden showed is considered to be one of the best in existence. The piano accompaniment given by Philip C. Carli was also beautiful. Nothing beats seeing a silent film in a big theater with live accompaniment. It takes you back in time. It transports you to the early days of film history before talkies took center stage, and the silent film — and all its wonders — fell to deaf ears. If you ever get a chance, please watch The Cabinet of Dr. Caligari…and attempt to refrain from laughing if you find something funny. The story that the The Cabinet of Dr. Caligari tells is not a funny story, and those who saw it when it first premiered found it quite frightening. Also, as always, if you’re ever in Rochester New York, please visit the Dryden Theatre. They never cease to amaze with the films they show and informative intros they give beforehand. A special thank you to The Dryden Theatre for allowing Josh and I to see the film that forever changed the landscape of German and American Cinema, not to mention horror.